Economics Arkansas funds its programs in a variety of ways. We follow sound decision-making practices and good stewardship of the resources entrusted to us. The Budget and Finance Committee oversees the annual budget process and an independent auditor conducts an annual audit. 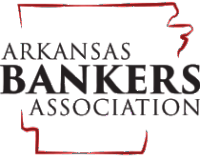 Economics Arkansas adheres to A Donor Bill of Rights developed by the Association of Fundraising Professionals, Association for Healthcare Philanthropy, Council for Advancement and Support of Education and the Giving Institute. A grassroots effort led by Jim Walton in Northwest Arkansas, which includes the Excellence in Free Enterprise Award luncheon, honoring NW Arkansas entrepreneurs with worldwide impact. Annual gala fundraising luncheons to recognize leaders of free enterprise or entrepreneurs whose contributions have made an economic impact to the state. Included in this recognition have been legacy leaders of the organization dating back to 1962. The 2017 LIFE awards were presented to Don Munro, Charles Nabholz and Robert Young III. The 2016 LIFE awards were presented to honor the legacies of three champions of economic education and the advancement of the economic development of Arkansas through the expansion of free enterprise: the late Gov. Winthrop Rockefeller, the late Mike Wilson and the late Kenneth Pat Wilson. In 2015, the inaugural Leadership in Free Enterprise (LIFE) award was presented in recognition of the Ford family legacy. Charles H. Murphy Jr. of El Dorado was honored during the 2014 gala. Novel items available through auctions or raffles or rewards programs such as AmazonSmile. If you shop Amazon through the AmazonSmile link, 0.5% of the price of your eligible AmazonSmile purchases will be donated to Economics Arkansas at no extra cost to you.